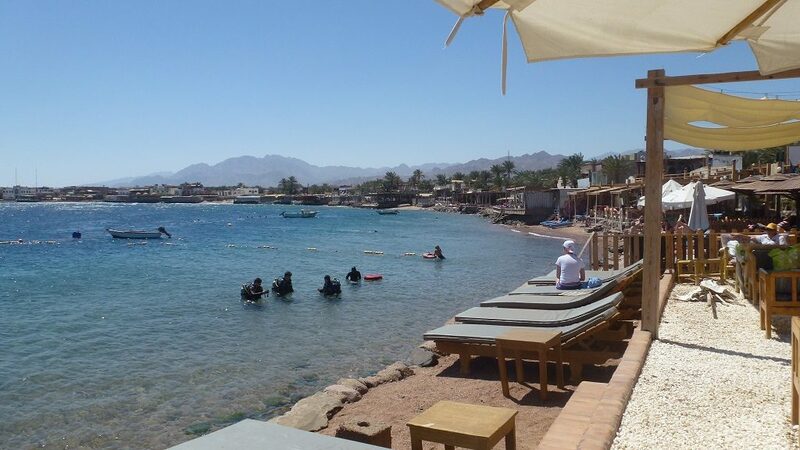 One of the most popular sites in Dahab due to easy access and suitability for all water sport activities. The Lighthouse is a site which has one of the easiest entries and exits and it is always sheltered from the wind, diving here is always possible. As you step in the water you will find a shallow sandy area that slowly drops off into a large grassy slope. Look out for seahorses and pegasus seamoths that generally occur in pairs. There is also a good chance to find the rare anglerfish. 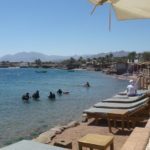 The dive site follows the reef round, with pinnacles and reefs providing a good variety of life, we found a large octopus, lionfish, morays, red sea walkman, crocodile fish and the usual assortment of fishies. At night you will find spanish dancers, anemone crabs, nudibranchs, octopus and moray eels. Did you dive here? Let us know in the comments below.